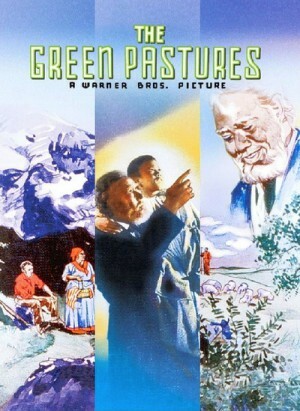 Rex Ingram plays "De Lawd," the creator of everything on Earth in Marc Connelly and William Keighley's The Green Pastures. 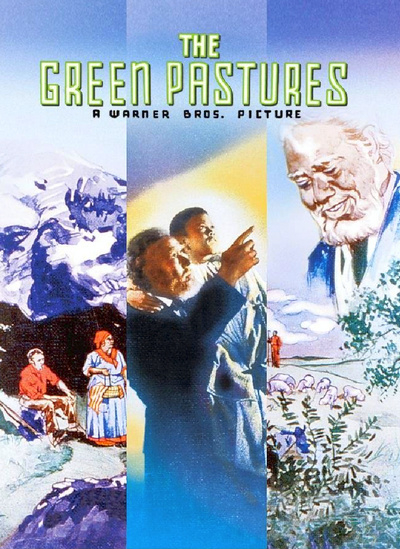 Based, like Cabin in the Sky, on a popular stage play, this one centers around a Sunday School meeting in which a preacher does his best to explain the history of the world to his students. At first, Heaven is nothing but a big fish fry with ten-cent cigars for everyone, until "De Lawd" decides to create the Earth, and with it, Adam and Eve, Noah, Cain and Abel and Moses (all black). The narrative follows through on Abraham's descendents in the land of Canaan and of Moses leading the Hebrews out of Egypt. The lesson ends with the De Lawd realizing mercy can be achieved through suffering and with the message of love and mercy from Jesus Christ (even God must suffer for mankind's sins). -- "Rufus Jones for President," featuring Ethel Waters and 7-year-old Sammy Davis Jr.